This quick reference provides a complete overview of the Perl programming language. The book covers a summary of Perl syntax rules and a complete list of operators, built-in functions, and standard library modules, all with brief descriptions. by Jonathan S. Duff, et al. 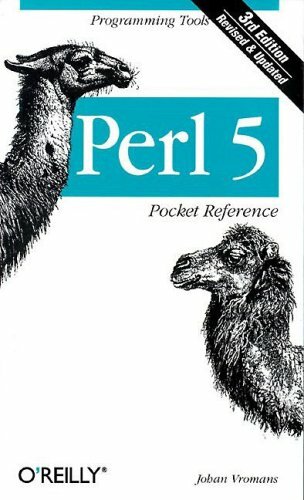 This book is primarily for people who want to learn Perl 6. It teaches the basics from a Perl 6 perspective, touching on variable interpolation, datastructure use, object construction, threads, closures, symbol tables, and other core features. The book takes a fresh look at software development. Business people will learn how XP enables customer-programmer communication for efficient and flexible requirements gathering. Programmers will see how XP allows them to take pride in their craft. An introduction to the main features of the Perl language. It's intended for people who know some programming but need an introduction to Perl. Topics: scalar variables, strings, arrays, hash tables, file input and output, regular expressions, etc. The book for people who already know how to program in another language, but don't know Perl. It gets through the basics as quickly as possible, the emphasis is on good programming style in Perl. Object-oriented programming is the center of focus.